Hall of the Mountain King: Review: Tyr, "By the Light of the Northern Star"
My introduction to Tyr came a few years back when I was asked to take on "Eric the Red" for another site. I’d read rave reviews about it all over the Web, but personally, I was unimpressed. In all honesty, I found the record fairly boring. It’s been a while since that review, and I really hadn’t thought much else about the band from the Faroe Islands. Now, I’m faced with their latest, "By the Light of the Northern Star." Maybe they’ve changed or maybe it’s the fact that I’ve been enjoying a lot more folk metal lately, but whatever the case, this record is a completely different experience. That ’80s sound is most noticeable on the opening of “Northern Gate,” which opens with a big sing-along style chant that will return throughout the song. The tune, like a few others here, has a very heavy Manowar vibe to it. That’s most notable on “By the Sword in My Hand,” which with Eric Adams on vocals would practically be a Manowar tune. That doesn’t stop it from being one of the better moments on the record, though, with that huge, warrior-metal chorus. Things taper off a bit after that track, though. “Ride” has a bit too much of the 1980s influence in it for my tastes. “Hear the Heathen Call” and the title track aren’t bad songs, but they don’t stand up to the songs that came earlier on the album. The record closes with two brief instrumentals which are both quite nice. “The Northern Lights” is an acoustic folk number, and I’m a sucker for those. It’s a well-done piece that just doesn’t last long enough. “Anthem” is a more bombastic classical-influenced number in the vein of Trans-Siberian Orchestra. One problem that I had with Eric the Red was in the vocal department, but there are no problems here. 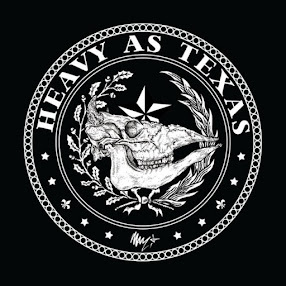 Heri Joensen’s vocals are spot-on for the style, as are all of the instruments. In fact, I’ve got no complaints at all with By the Light of the Northern Star. I think I’ll have to go back and check out the last few to see what I might have missed. 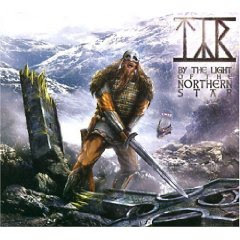 Get "By the Light of the Northern Star."